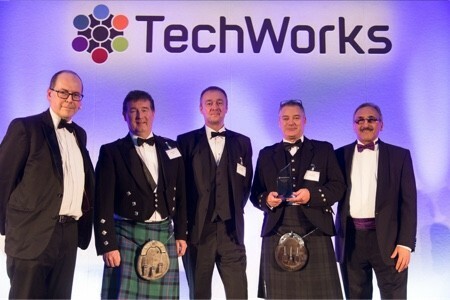 WATERBURY, Conn, USA, December 7, 2017 – Compugraphics, a leading photomask manufacturer based in the US, UK, and Germany, and a business operated as a division of MacDermid Enthone Electronics Solutions, has been declared 2017’s best UK-based Manufacturing Supplier of 2017 at the TechWorks Awards. The category winner was chosen based on results from a customer survey. The survey criteria addressed Flexibility and Responsiveness, Quality of Product or Service, Business Impact, and Continuous Improvement Practices. The awards celebrate the year’s key electronics innovations, people and companies from across the UK and Ireland. While these are the inaugural TechWorks Awards, they follow on from the NMI Awards, which ran from 2001 to 2016.